International personal liability cover has been added to our travel medical insurance plan here at Good Neighbor Insurance. The Atlas International plan has some new and wonderful benefits on their travel insurance plan. Our clients, since 1997, have asked us for personal liability insurance. Most of our travel insurance plans do not have this international benefit. 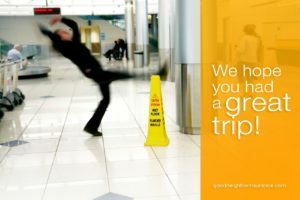 Only our BUPA travel here at https://www.gninsurance.com/personal-liability-cover-short-term-travel-insurance has this cover. Now we have great news that our Atlas International policy has now included this wonderful benefit for our clients, you! Here is that added information: Optional (add on / also called a rider) additional $100,000 Personal Liability: Offered for all coverage maximums and deductibles. Thus, anyone who wants really strong international personal liability insurance cover for a great premium now have two choices with Good Neighbor Insurance. First, for you as the policy holder for sure. What if you rented a vehicle in Costa Rica and were in an accident and someone sued you due to a death in that accident, or ruined property. Will your home-owners insurance cover you on that liability challenge? No way, because you were outside the U.S. (that is if your home-owner’s insurance would even cover this challenge). Having this personal liability cover overseas is a wonderful protection. Even though this is personal liability cover, on the policy holder, the organization will have some peace of mind knowing that you have this added cover. Why? Because at least there is some protection, indirectly via your protection, from the organization. That is if the other entity doesn’t sue the organization. As we know, attorneys go for the deepest pockets. But, even though this is not a international commercial liability cover it still has some protection for the organization that is sending you out on a short term group insurance trip. Or call one our international insurance specialist here in Phoenix Metro, Arizona at our toll free number of 866-636-9100 or 480-633-9500. Or you may email us at info@gninsurance.com. We are here to provide you peace of mind from medical cost fears as you enjoy your travels outside the U.S!